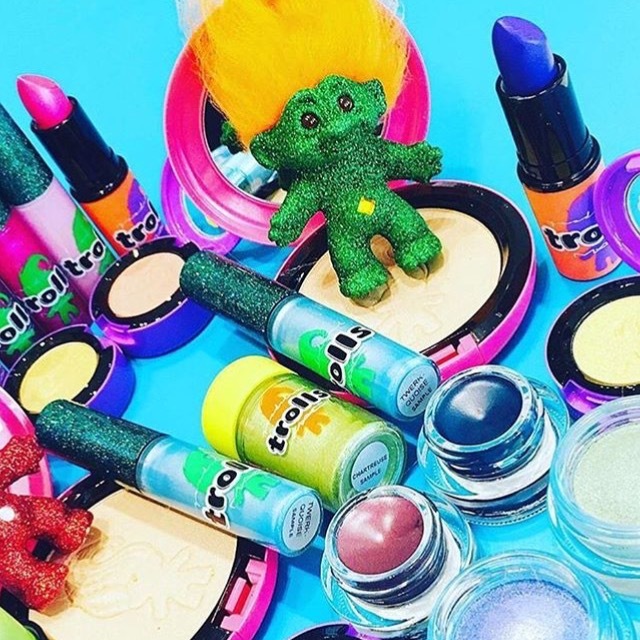 I love a limited edition collection, I love a collaboration and when I was about 7 years old I was obsessed with trolls so I couldn't be more excited about the trolls collection. I always look out for emails from MAC, I love most of there make up and the majority of my make up is from the brand so when a new collection email arrived in my inbox a few days ago I was so excited to see the new collaboration. This range consists of Lipstick, lip glass, eyeshadows, glitter, powder and a brush as well as 2 coloured hairsprays which is defiantly new for MAC. The powders have already sold out online and I don't think that it will be long before the collection is gone. A huge part of me wanted to buy a few items on impulse but money wise it's a very tight month so I've promised myself that if it's still about after my birthday I'll get something with my birthday money. I'll be going to Manchester and Liverpool that week so hopefully I will gat to swatch them in person too. EDIT - SINCE I WROTE THIS LAST NIGHT SO MUCH MORE HAS SOLD OUT ONLINE! I'm defiantly drawn towards the powders, the iridescent glitter, the blue lip glass and the blue lipstick in Midnight Troll. This is up there with my one of my favourite collaborations - I did love the Disney Villains colab though, and Marge Simpson. 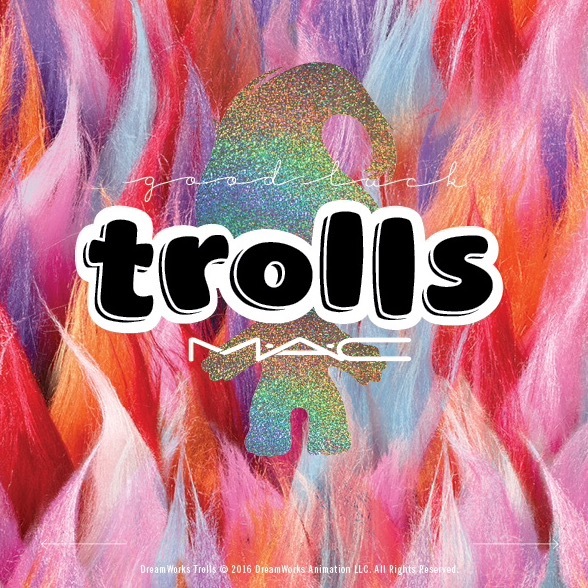 What has been your favourite collaboration of collection that MAC have ever done? Or what would you like to see them do?